The Patriots will start the season without Tom Brady for the first four games as he finally serves his suspension for “Deflate Gate.” This suspension will not keep the Patriots from their dominance on this division, but it will keep them from winning the number of games they usually do. Jimmy Garoppolo has the physical abilities and should keep the Patriots afloat for the first four games. I expect Brady to have something to prove when he gets back, and he should be better than normal. As far as the offensive game, it will be the short passing with Julian Edelman and Danny Amendola along with the tight end game of Rob Gronkowski and newly acquired Martellus Bennett. Dion Lewis coming back from injury will be dangerous in this short passing game as well. The defense doesn’t stand out individually but works together well as a unit. 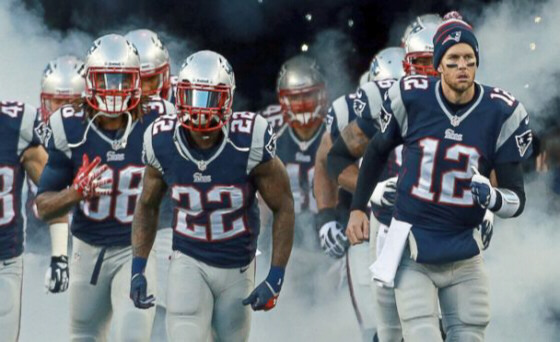 The Brady suspension could end the Patriots reign, but I don’t see enough from the rest of this division to do so. The Bills come into this season looking to take the next step and make the playoffs for the first time since 1999. Tyrod Taylor proved himself last year, and he will look to Sammy Watkins in the passing game. Watkins will have to keep himself healthy and be consistent on a game-to-game basis. Defensively the secondary is very good with Stephon Gilmore and Ronald Darby. Shaq Lawson comes into this season injured, which will hurt the pass rush. Rex Ryan will dial up blitzes to get pressure on opposing quarterbacks which will mean Gilmore and Darby will have to hold up. Buffalo will have to find a way to win the big games they haven’t been able to in the past few seasons if they want to break that playoff drought. The Jets did get Ryan Fitzpatrick signed, and it will be seen if he can continue on the career year he had last year or if it was an aberration. He will, of course, look to the sensational wide receiver Brandon Marshall who is still at the top of his game. The loss of Chris Ivory will really hurt this offense. Matt Forte is 30 and, while he can still get the job done, he won’t be able to be a down-to-down back. D’Brickashaw Ferguson also retired in the offseason and that will be a big loss on the offensive line. The defense is strong on all three levels. Sheldon Richardson and Muhammad Wilkerson are solid on the defensive line. David Harris is a very good linebacker, and rookie Darron Lee will improve that unit too. Darrelle Revis is still a top end cornerback, but they did lose Antonio Cromartie in the offseason. The Jets snuck up on teams last season in my opinion, I don’t see that happening again and that is why they will be under .500 this year. The Dolphins have way too many holes in their roster to be a legitimate playoff contender. While they have big name players at some positions, it is few and far between. Ryan Tannehill has not lived up to expectations (he has lived up to mine because I never expected much), and there is no reason to expect he is more than what has been revealed. They did add Arian Foster but he is up there in age. Jarvis Landry is their best offensive weapon, and Tannehill will look to get him the ball in the passing game. They have big names on defense: Ndamukong Suh needs to live up to his big contract, and they have added Mario Williams to help bolster their pass rush. Byron Maxwell didn’t live up to his contract in Philadelphia so it remains to be seen if he can put that bad year behind them. Miami has the star power but, with that aside, there are too many holes in this roster, and Miami will have another poor season.